Vector illustration of a pristine landscape with many different plants. Rounded hill decorated with blooming flowers, grass stems, circles and butterflies. Silhouette graphics of different species of trees and people admiring the nature. Free vector illustration for all kinds of wallpapers, backgrounds and posters. 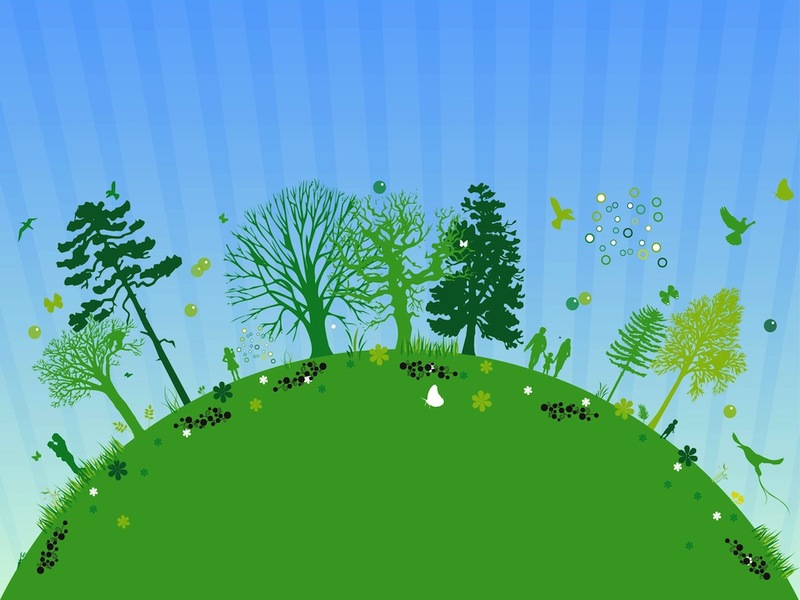 Tags: Ecology, Flowers, Globe, Grass, Green Planet, Landscape, Plants, Seasons, Trees.